Rex gets many questions about his reconstructed Subarus, so he’d like to take a moment to address a few of the more common ones. Q: What is the difference between a “Salvage” title and a “Reconstructed” title? A: A “Salvage” title can be issued for a multitude of reasons, but is primarily issued when a damaged vehicle is deemed too expensive to repair by the insurance company. A “Reconstructed title is the title issued after a “salvaged” car has been repaired, inspected by a state agency, and deemed road-worthy again. Rex does not sell cars with a “Salvage” title. Q: Is it difficult to transfer a “Reconstructed” title into my name? A: Not at all! A “reconstructed” title functions identically to a “clean” title. Q: Will insurance be more expensive on a “reconstructed” car? A: Nope! 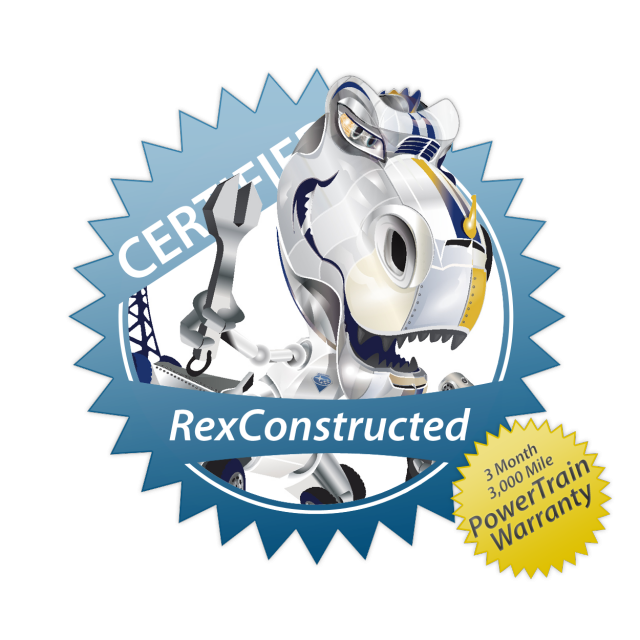 While Rex can’t speak for every insurance company, a “reconstructed” title typically has no bearing on insurance rates. A salvaged, reconstructed or otherwise “clouded” title has a permanent negative effect on the value of a vehicle. The industry rule of thumb is to deduct 20% to 40% of the Blue Book value, but salvage title vehicles really should be privately appraised on a case-by-case basis in order to determine their market value. So, it is only logical to assume that a car purchased at 30% below market value will have a correspondingly lower resale value. Q: How high was the water in [x] car? A: While this obviously varies from car-to-car, the answer is largely irrelevant; Rex replaces every part that touched water. If, for example, the water reached the dash, Rex will change the entire wiring harness, interior, dash, engine, transmission, rear-end, etc. If the water did not reach the dash, Rex may very well change all of the aforementioned parts anyway, due to the intricate nature of Subaru’s electrical systems. The point being that Rex’s restoration process is extremely thorough; whether water barely reached the seats or the car transformed into a Scubaru, the “water line” is relevant to the finished product only as a bit of trivia. Q: What type of water was the car in? Salt water, fresh water, etc.? A: Again, this depends on the specific car, but the result does not: while salt water is certainly more damaging to electrical components than fresh water, any parts that touched water are removed, discarded, and replaced, regardless water type. A: Rex’s removes any ‘exposed’ steel during his Rexstoration, meaning that the only component in his “flood” cars that has actually been involved in a “flood” is the painted shell. Painted surfaces do not rust, and the shell is cleaned thoroughly after it is stripped out. Thus, Rex’s cars are no more prone to rust than any typical new or used car. Q: Are you interested in trades? A: Rex lives to recycle Subarus, so unless you’re offering a Subie that’s in need of some love, he’s not interested in trades. Q: Will you help with shipping? A: Absolutely! Rex likes to ship his own cars if you’re within a reasonable distance of his headquarters (Vienna, West Virginia). If you’re out of reach, he’ll gladly work with you to find a shipping method that is satisfactory.